Lufthansa’s lowest air fares remain available to customers of GTM! Global Travel Management will continue to offer its customers the full range of Lufthansa Group Airlines’ air fares, despite the airline restricting access to their lowest prices via the traditional Global Distribution Systems (GDS) from December 1st 2018. Lufthansa Group Airlines’ most competitive fares, sold in the UK, for European point-to-point flights have always been available to GTM – and all other TMCs – via their GDS’. However, from 1 December this year, Lufthansa Group has decided to restrict the sale of their lowest fares, via a new channel known as NDC. This means that only TMC’s who are connected to LHG’s NDC pipeline will be able to offer these fares; and GTM is one of those! GTM has access to these fares – typically offering significant savings on European short-haul flights. These Economy Light fares on Lufthansa, Austrian Airlines, Swiss and SN Brussels Airlines’ flights across Europe will all continue to be available via GTM, but will be restricted from the main global distribution systems. Thus, GTM’s clients will still be able to book these flights, while some other travel management companies’ customers will not. GTM continues to work closely with Lufthansa Group, along with British Airways and Air France KLM to ensure that our customers benefit from the widest choice of fares at the lowest available cost. Please feel free to contact Paul Baker, Sales Director, should you wish to discuss the matter further. 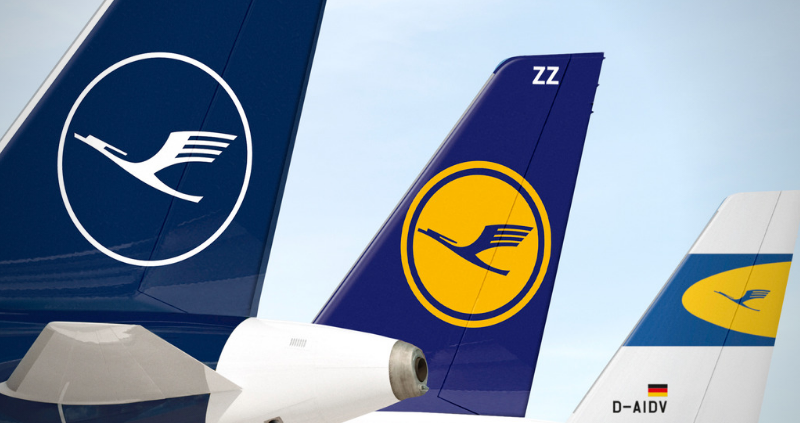 https://gtm.uk.com/wp-content/uploads/2018/11/Lufthansa-Group-tails1.png 800 800 Paul https://gtm.uk.com/wp-content/uploads/2015/05/logo_trans.png Paul2018-11-22 09:43:242018-11-22 09:43:24Lufthansa's lowest air fares remain available to customers of GTM! Lufthansa Companion Fare Offer – Fantastic Offer! Lufthansa Group are now selling, for a limited period, companion fares for customers who buy either a First, or Business Class, ticket. Valid from the UK to the following cities: Bangkok, Beijing, Bogota, Delhi, Hong Kong, Johannesburg, Mumbai, Nairobi, Rio de Janeiro, Sao Paulo or Shanghai. Fares are on sale now and until 3rd September 2018, and valid for travel between 15th September 2018 & 30th June 2019. The discounts on offer are considerable, for example, a fare for one person to Hong Kong starts from £1950, but for two people the equivalent fare is just £1250pp. Early booking is advisable though due to restricted capacity. https://gtm.uk.com/wp-content/uploads/2018/08/LH.png 176 286 Paul https://gtm.uk.com/wp-content/uploads/2015/05/logo_trans.png Paul2018-08-23 16:18:012018-08-23 16:18:01Lufthansa Companion Fare Offer - Fantastic Offer! Lufthansa Cabin Crew Strike Confirmed. The ‘Organisation of Independent Flight Attendants’ union (UFO) has announced that it will take strike action on Lufthansa flights from today, Friday 6 November until Friday 13 November. The UFO union has called up on its members based in Frankfurt and Dusseldorf to go on strike today between 14.00 and 23.00 hours CET. Further strike actions are to be expected tomorrow, 7 November 2015. Lufthansa flights from and to Munich will operate as scheduled. There will be no strike action on Sunday, 8 November. Lufthansa is currently creating a special timetable for the strike period. The necessary cancellations for long-haul flights from Frankfurt and Dusseldorf will be published shortly. Updates on all short-haul flights will be available at 11.00 hours CET. Lufthansa expects at least 8 of their long-haul flights to operate as scheduled. However, the majority of short- and medium-haul flights scheduled for departure from 14.00 hours onwards will have to be cancelled. Flights operated by Lufthansa City Line, Germanwings, Eurowings, Air Dolomiti, Austrian Airlines, Brussels Airlines and SWISS will not be affected by any possible strike action and will continue to run as normal. We (Global Travel Management) are currently in the process of contacting our affected customers, however, if you are a client of ours please do not hesitate to call us, on +44 (0) 1483 747 321 to discuss alternative arrangements. You may also call our emergency out-of-hours (ooh) team over the weekend on +44 (0) 20 3130 9767 for assistance too. Please note though that charges do apply for calls made to our ooh team. https://gtm.uk.com/wp-content/uploads/2015/05/logo_trans.png 0 0 Paul https://gtm.uk.com/wp-content/uploads/2015/05/logo_trans.png Paul2015-11-06 10:18:362015-11-06 10:18:36Lufthansa Cabin Crew Strike Confirmed. Lufthansa cabin crew strike looms. Passengers who are due to fly with German airline Lufthansa are facing possible disruption to their travel plans due to a planned strike by the airline’s cabin crew and the union representing them. The industrial action is due to start this Friday, 6th November 2015, and will last for a week, unless the union’s demands regarding retirement and pension benefits are agreed to. Lufthansa has until 1600 this Thursday to respond. https://gtm.uk.com/wp-content/uploads/2015/05/logo_trans.png 0 0 Paul https://gtm.uk.com/wp-content/uploads/2015/05/logo_trans.png Paul2015-11-03 17:47:492015-11-03 17:47:49Lufthansa cabin crew strike looms. Lufthansa Pilots’ Strike Enters Second Day. Pilots at German airline Lufthansa have started a second day of strikes today, Wednesday 9th September 2015, grounding around 1,000 flights and affecting 140,000 passengers, and said more strikes would come if the company’s management did not improve their offer in a row over cost cutting. Lufthansa had tried to stop the strike, the 13th in 18 months, with a temporary injunction but on Tuesday night two courts ruled in favour of the pilots’ union, Vereinigung Cockpit. “If there’s no new offer from Lufthansa we will call for a further strike,” VC spokesman Markus Wahl told Reuters at Frankfurt airport. He said strikes could occur at any time, though the union would give 24 hours’ notice. The pilots are striking over retirement benefits, pay and Lufthansa’s plans to expand low-cost operations. They want Lufthansa to halt the expansion of Eurowings, which has an Austria operating licence, while negotiations continue. Lufthansa management has said it must achieve cost cuts in order to compete with budget rivals such as Ryanair, which are targeting the German market. https://gtm.uk.com/wp-content/uploads/2015/05/logo_trans.png 0 0 Paul https://gtm.uk.com/wp-content/uploads/2015/05/logo_trans.png Paul2015-09-09 08:22:222015-09-09 08:22:22Lufthansa Pilots' Strike Enters Second Day. The pilots’ union, Vereinigung Cockpit, has called a Germany-wide strike on all Lufthansa continental flights for tomorrow Wednesday, 18 March from 00.01 hours until 23.59 hours CET. Lufthansa long-haul flights will operate as scheduled. There will be a significant adverse impact on Lufthansa operations during the strike period. 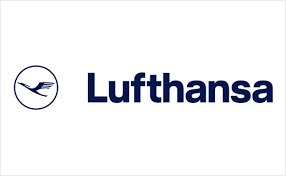 However, the Lufthansa Group will still operate the majority of its approximately 3,000 flights a day and will be able to offer most passengers the alternative of rebooking on other flights. Flights by the Lufthansa Group airlines Austrian Airlines, Brussels Airlines, Eurowings, Germanwings and SWISS (operated by OS, SN, EW, 4U, LX) as well as flights by Air Dolomiti (operated by EN) are unaffected by the strike and will operate as scheduled. The pilots union Vereinigung Cockpit has announced a strike for all Lufthansa short-haul and continental (Europe) flights departing between 12.00 CEST on December 1st to 23.59 CEST on December 2nd, and for all intercontinental flights departing between 03:00 CEST to 23:59 CEST on December 2nd. During the strike period disruptions of Lufthansa flights are expected. Lufthansa is currently working intensely on a special timetable for the strike period. All flights operated by the Lufthansa Group airlines Austrian Airlines, Brussels Airlines, Germanwings, SWISS and Air Dolomiti (operated by OS, SN, 4U, LX, EN) will not be affected. Please contact us (GTM) if you are due to travel during the aforementioned times and we will assist you with re-booking. https://gtm.uk.com/wp-content/uploads/2015/05/logo_trans.png 0 0 Paul https://gtm.uk.com/wp-content/uploads/2015/05/logo_trans.png Paul2014-12-01 09:31:242014-12-01 09:31:24Lufthansa Pilots' Strike.